Welcome back, Andy Grammer! 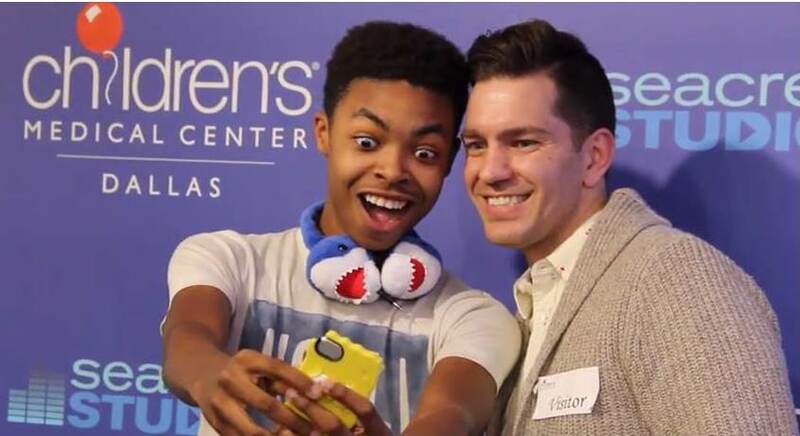 We were happy to welcome back singer, songwriter Andy Grammer to Seacrest Studios at Children’s Medical Center in Dallas. Jireh, 15, didn’t stop smiling once he met Andy! He got to sit right next to Andy, who is one of his favorite singers. Jireh told Andy his favorite song is “Pocket,” which was one of the songs Andy played in studio. Andy taught Omya, 9, and the rest of the crowd in studio how to beat box and which sounds to try out. Then we were all singing along as Andy played two of his hit songs live in studio. After the interview and performance, patients and families got to meet Andy. Even one of the hospital’s therapy dogs, Van, wanted to come in to get a hug! Thank you, Andy, for coming back to see us here in Dallas! We love your bright smile and positive attitude!